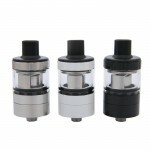 Kanger Aerotank Mini Clearomizer adopts the 1.5ohm bottom dual Coil, providing you with much flavored vapor. 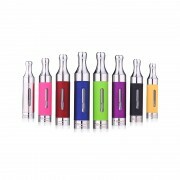 Features the airflow control and the food grade stainless steel body, the Aerotank Mini Atomizer will give you pleasant vaping experience. 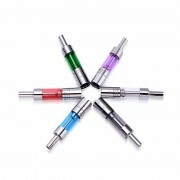 The e-liquid capacity is 1.5ml, and the material is Pyrex steel and Pyrex glass. 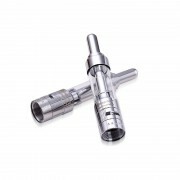 All the parts of the Aerotank Mini atomizer can be reassembled, and you can clean it much easier. 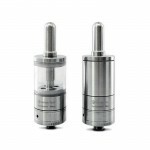 ❤ Please read the user manual carefully before using Aerotank Mini Clearomizer.